HomeResultUPSC CDS(I) 2017 Final Result Declared- Check Yours. UPSC CDS(I) 2017 Final Result Declared- Check Yours. 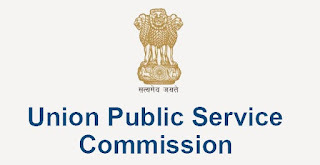 Union Public Service Commission(UPSC) declared final result of Combined Defence Service(CDS)-I exam. Final result is declared on accounting written test conducted by Commission in February 2017 and SSB interviews held by the Services Selection Board of the Ministry of Defence. A total of 209 candidates are qualified in the exam. Candidates qualified the exam have been recommended by the Commission for admission to the 144th Course of Indian Military Academy, Dehradun; Indian Naval Academy, Ezhimala, Kerala and Air Force Academy, Hyderabad (Pre-Flying) Training Course i.e. No. 203 F (P) Course. Document Varification of all qualified candidates still in under process by Army Headquarters. Headquaters will check information provided by candidate during the submission of application are correct like DOB, Educational Qualification etc.